and watch the pond draw in the wildlife you treasure in this world. Create a natural escape in your own front yard! We design and install ornamental ponds to fit any area! Imagine the continuous sound of water as it flows over pebbles in your waterfall, or the tranquility of nature as you enjoy the wildlife your pond will attract. One of the great things about the ornamental ponds we create is the natural wildlife that it attracts. It will blow your mind, from birds and fowl, to supporting fish and other animals, it’s truly a great thing for those who desire to be ecologically friendly. We use only the highest quality materials and pumps in the water features we create, and we can make recommendations on which kinds of fish to put in the pond. Some of these fish, particularly koi, can live for decades and are actually quite friendly. 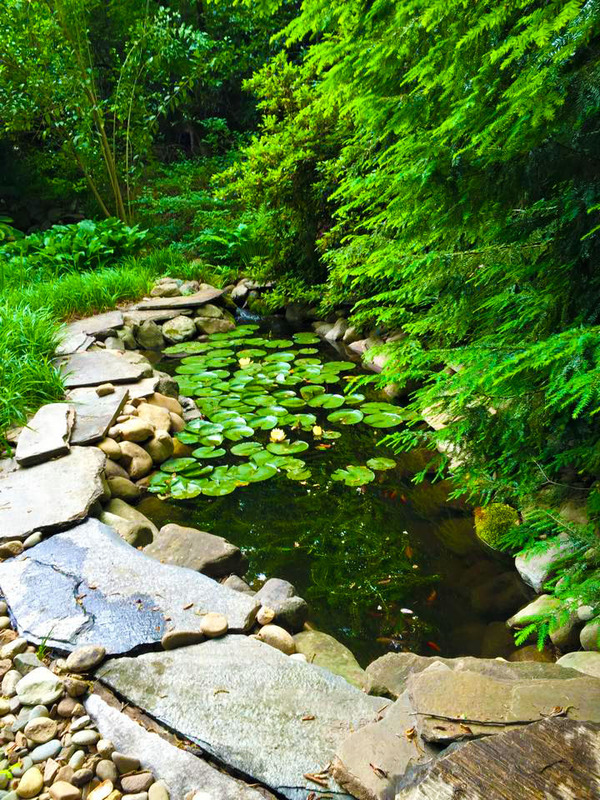 We’ve installed ponds in Atlanta and all over town, and believe in them so much even our owner has a beautiful pond in his front yard that’s been there for decades, complete with a waterfall and natural grasses and water friendly vegitation.